Many adults could benefit from bite correction but don’t pursue treatment because they believe that unsightly metal braces are the only option. An increasing number of grown-ups, however, are discovering that their teeth can be brought into proper alignment effectively and practically invisibly with ClearCorrect. Hayward dentist and ClearCorrect provider Dr. Gary G. Fong can help you determine if ClearCorrect is the best treatment for your individual needs. If you’re an adult who is unhappy with appearance of your smile due to a bite condition, please call 510-582-8727 to schedule your consultation and learn if ClearCorrect is right for you; Dr. Fong welcomes patients from the surrounding Castro Valley, San Leandro and Union City areas. With age, the bite conditions known as malocclusions can become especially problematic. These conditions—which include underbite, crossbite, overbite and unevenly spaced teeth—may result in a loss of confidence in the workplace or in your social life, and they can contribute to progressive oral health problems. Traditional metal braces are generally unappealing to adults because the wires and brackets are highly visible, and they require frequent tightenings and adjustments. ClearCorrect uses a series of clear, custom-made, form-fitting aligners to shift your teeth into the desired alignment. These aligners are crafted from comfortable, dental-grade plastic, and they are easily removable for meals and your dental hygiene routine. There are no diet restrictions with ClearCorrect, and the aligners themselves are simple to clean with brushing and rinsing in warm water. Between work, family obligations and social commitments, many adults simply don’t have time for the regular office visits required by standard metal braces. ClearCorrect straightens your teeth without disrupting your active lifestyle. With ClearCorrect, your follow-up dental visits are limited and are intended to provide you with your sequential series of your aligners and monitor your progress. Treatment times with ClearCorrect vary, based on the unique nature of your condition. In most instances, ClearCorrect can achieve the desired results with about 12 months of treatment that includes wearing the aligners for approximately 20 to 22 hours per day. And because the aligners are transparent and fit snugly over your teeth, most people won’t notice you are having your teeth straightened. To learn if ClearCorrect is right for you, please contact Dr. Gary G. Fong today. 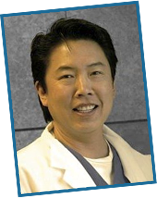 Dr. Fong welcomes patients from the greater Hayward, Union City, Castro Valley and San Leandro, California, areas.